The Splendid Sampler Block 2! The Splendid Sampler Block 2 was released on Thursday! This block is by Jane Davidson of Want It, Need It, Quilt and is named Wings! I need to add the antennae but am loving the colors! I chose for the center one to be white but it will have some colorful embroidery as soon as the weather here warms up! This was supposed to be completed and posted Thursday but there were some funny sewing machine issues that put me completely behind schedule! And this happened two more times! I am going to have to change out machines to be able to get more ahead of schedule. Maybe this one needs a good clean and oil. That will have to be another day! My Bernina is officially on the naughty chair until I can figure out her issue! 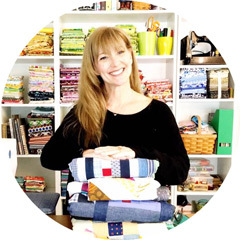 I am using Aurifil 50wt for all of my piecing. The 50wt is very thin and makes for perfect seams every time! Less bulk means flatter seams :o) I will be using a combination of 12wt and Aurifloss for the embroidery. I did try something super cool and new to me! 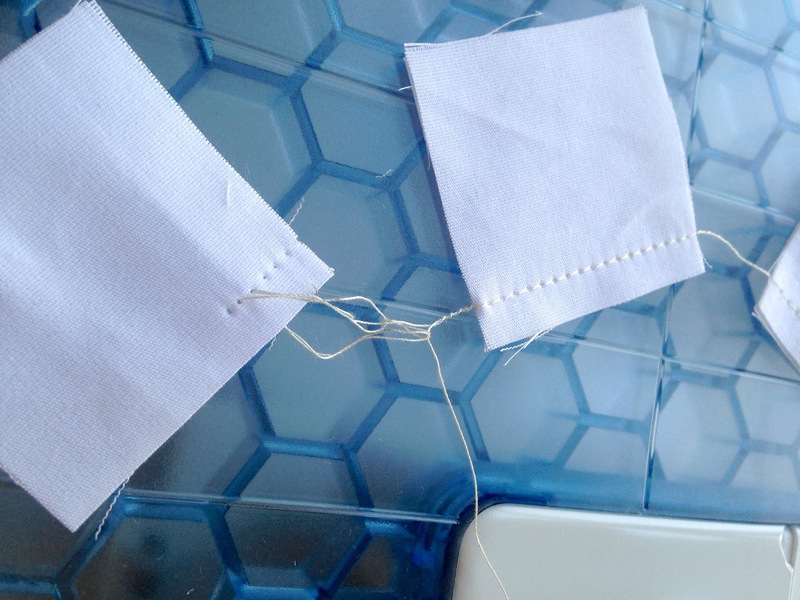 Clearly Perfect Angles by Kari Carr of New Leaf Stitches helps sew perfect HST WITHOUT marking the fabric first! I LOVE anytime that I do not have to draw lines! I cannot draw a straight line even with a ruler! I have also decided to add this one to my list of helping kids to learn how to sew because I found it also helps with a perfect seam for straight stitching too! I will be trying it out with Adam during Spring Break to see if he likes it too! Thank you so much Kari for letting me try out this fabulous and very useful tool!!! Looking forward to having a working machine and SUNDAY when the new block is released! Linked up to Finish It Up Friday! 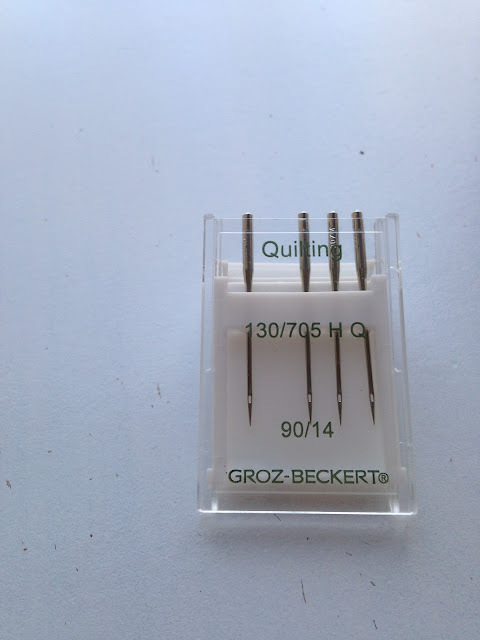 I don't know if things have changed, but Bernina makes their own line of needles. They are a hair longer than Schmetz needles. It used to be that all European made machines were timed to use Schmetz. It's very possible that your machine's timing is off. Time for the spa! I had the same issue with my Janome and Aurifil. I went to a smaller needle and I was back in business. I only have a Singer, but when that's happened I noticed a burr/little "knot" in the thread which shredded as it went through the eye. Inconvenient having to stop and re-thread, but usually no big deal.